This brand new platform bed is the perfect way to transform a "kid's room" into a "teen's room". 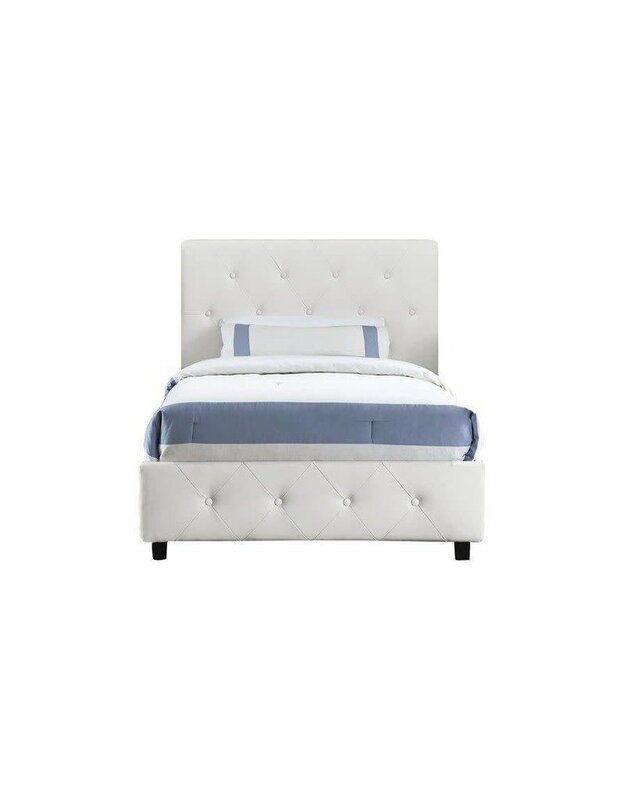 Upholstered in durable white faux leather for a chic look with classic button style tufting details on the headboard and footboard. The side rails as well as a slat kit is included with purchase too. 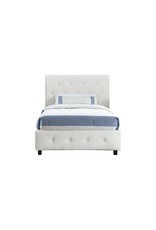 All you need to do is assemble, add a twin size mattress (a foundation/box spring is not required), adorn with some chic bedding and the room transformation will be well on its way to complete. 43.5" x 80" x 39"